I was incrediably impressed with these new pressed glitter palettes from My Beauty Addiction. 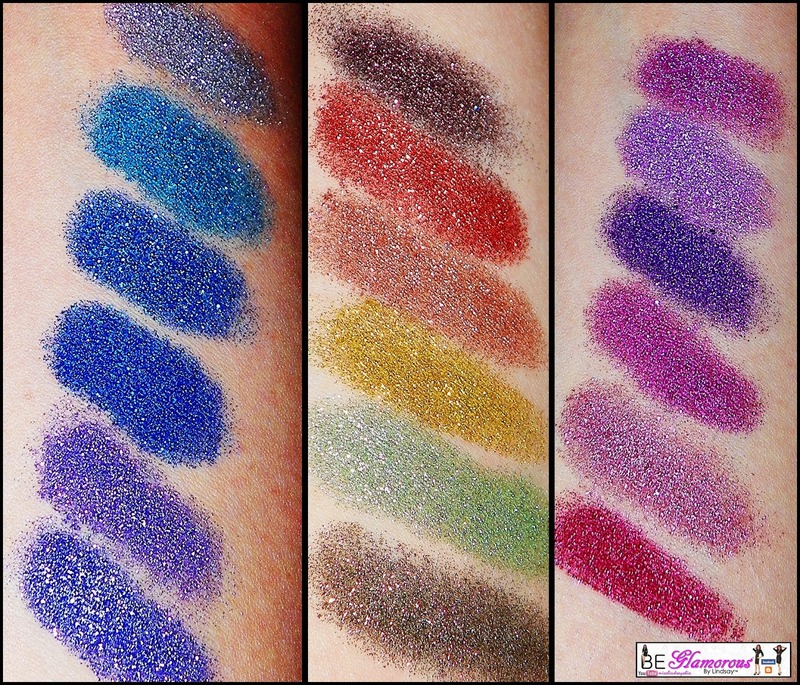 They are absolutly perfect for any glitter lover for sure. I can't really pick my favorite palette because I love each one so much, if I only had gotten one I would of immediately bought the other two. I am far from a shopaholic or an impulse buyer so to me this was a must have. The palettes themselves come in a sleek thin design with a mirror enclosed on the compact. They can easily fit into your case, bag, purse, wherever. Each palette is lightweight and mess free. The glitter comes off just as nice as using a loose glitter, almost nicer with more control. Each palette comes in corrinating colors of 6 that you can remove and mix. A little bit of this product goes a long way, you can use it subtle or dramatically, the more you use the brighter the color. The Glitter Fix Glitter Adhesive is perfect for this product. It holds the glitter in place perfectly and a little goes a long way. Awesome!! Trays can be interchanged with the other glitter palettes so you can mix and match. Love it, so thin and sleek! Fits right in my makeup belt or case. Here is a look I created using the blue glitter palette as well as My Beauty Addiction shadows 3am, Midnight Kiss, and Mermaid with Color Me Mauve on my cheeks. Be apart of my daily posts on Facebook!